1 – These mini clay ice-creams by Make Life Lovely and so sweet and you could do anything with them. 2 – I love these ice-cream t-shirts by Hello Wonderful and they look so easy to make too! 3 – We made these salt dough ice-creams last year and used some for necklaces, who said salt dough was just for Xmas decorations?! 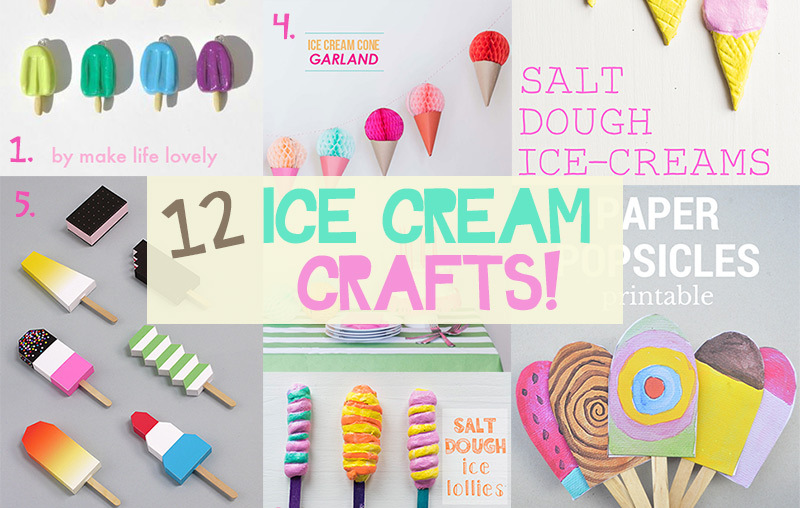 4 – Love this ice-cream cone garland by Oh Happy Day. 5 – Fab ice-cream cardboard designs by Mr Printables. 6 – We made these salt dough ice-lollies at the same time as our ice creams. They were so fun to make and dried around the sticks so were perfect for playing with afterwards. 7 – These paper printable ice lollies look like great fun for kids, you can find them over on Be A Fun Mum. 8 – These pretend ice creams are from my other blog Along Came Cherry. 9 – I posted these Hama Bead ice lolly designs earlier in the week, they are super easy to make. 10 – I love this ice-cream bunting idea by Pysselbolaget, such a good use for old egg cartons. 11 – Super cute printed ice-cream bag by Hello Wonderful. 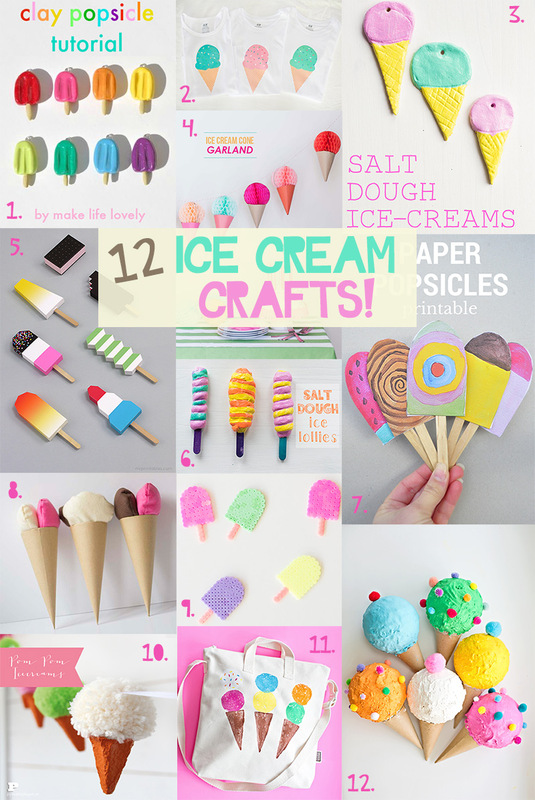 12 – And lastly, another ice-cream craft by Hello Wonderful, she has some amazing ice-cream crafts! These are so bright and colorful and kids would love making them.